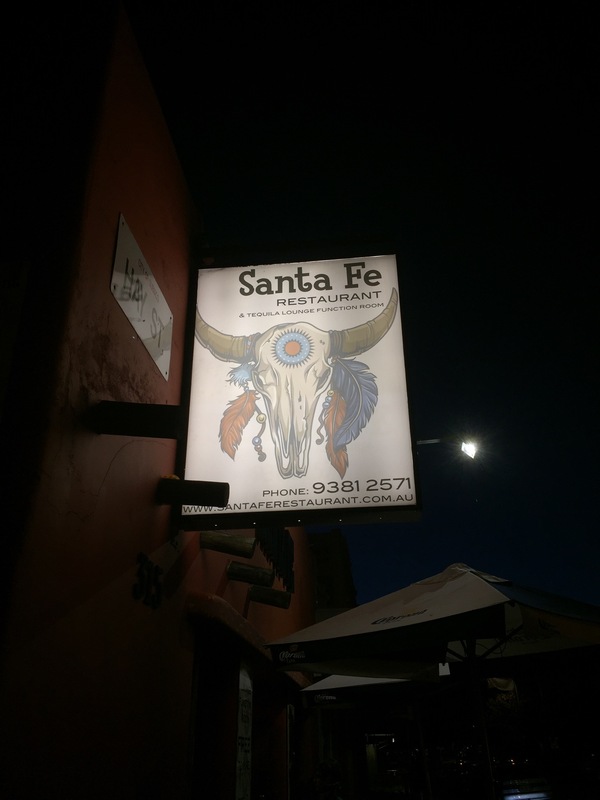 There’s lots of places that you drive by on a regular basis and think ‘I should really check that out’ but just never seem to get there, Sante Fe in Subiaco has been one of those places for us. 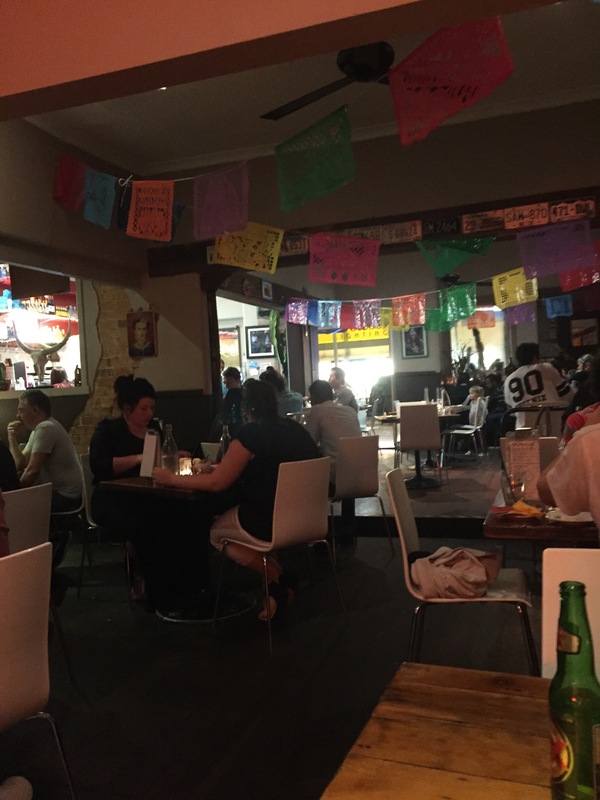 We’ve been looking for a new favourite Mexican place and thought it was about time we checked it out. The restaurant was full when we arrived, unbeknownst to us it was the hot wing special night and we were lucky we’d booked. It was dim and crowded but warm and welcoming with plenty of noise and laughter from all sides as we were lead to our table towards the back. We found the service to be both prompt and friendly. We tend to over order and were quite happy to get some instruction that what we were planning on ordering was far too much. For the record she was completely correct, and we were eternally grateful we placed our trust in her as even with the reductions we were still comfortably over fed. 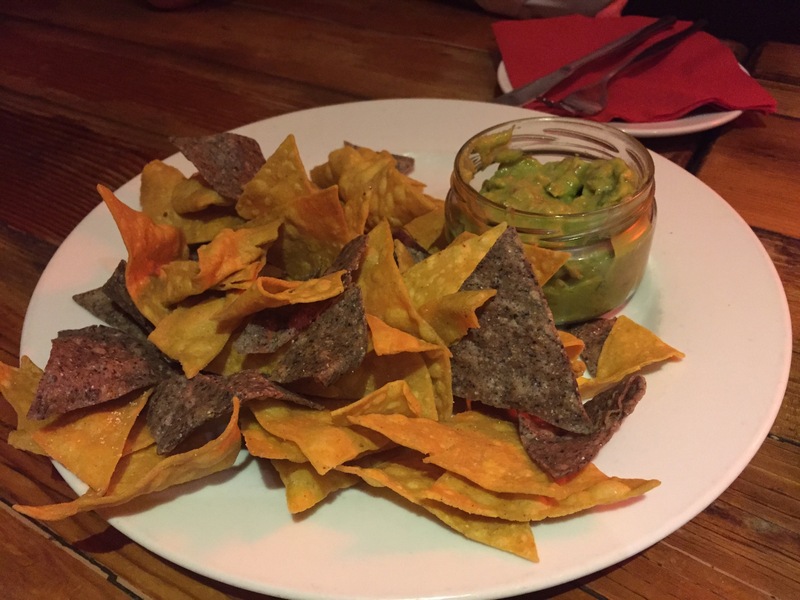 To start with we went for everyone’s favourite things, corn chips with chili con queso and guacamole. If there is anything more delicious then hot and oozy cheese dip with that warmth of chilli we have yet to find it. It’s one of the ultimate comfort foods and while it was a little less thick then we would like, we really enjoyed it. 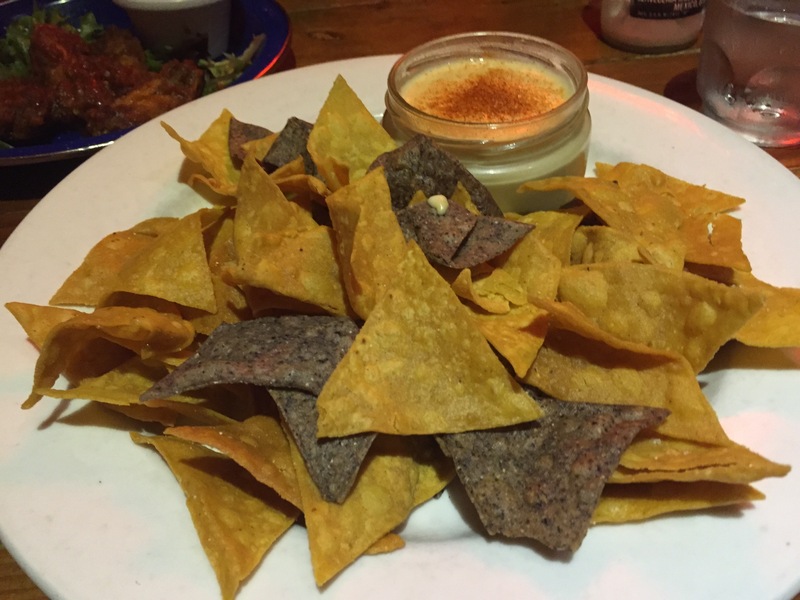 The fantastic corn chips and tangy guacamole just topped it off for us. We had to try the hot wings that had brought such a crowd but we’re glad we went with an entree serve and not an entire bucket, we’ll save that for another evening. 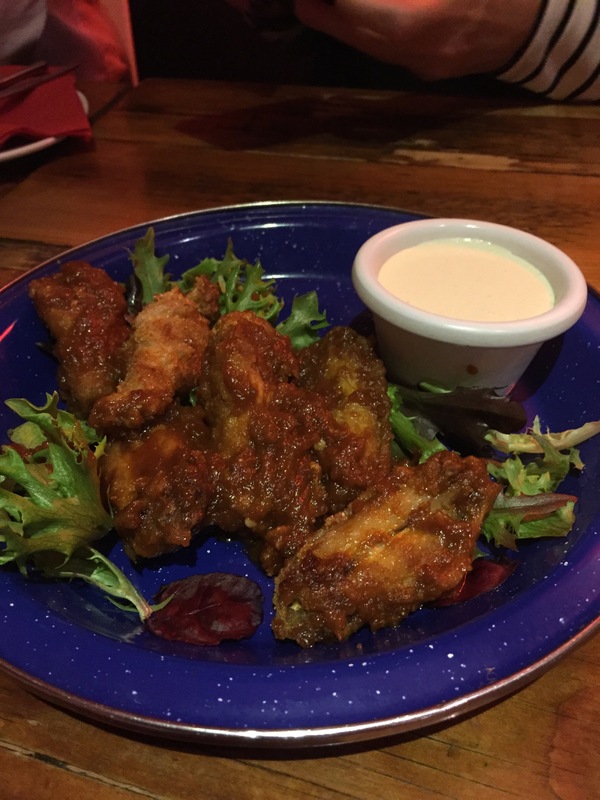 The wings had a real kick to them, enough to satisfy most hot wing fans. There was quite a long wait between our starters and mains, sometimes this is done on purpose, and as the restaurant had started to clear by this point, it may have been the case. Purposeful or not it had the unfortunate effect of our stomachs realising quite how much food we had already consumed and dampening our appetites. First up was the rubs, tender and coated in BBQ sauce. They were delicious right up to the point where you realize that the sauce only went on after cooking, and when you ran out of sauce the ribs unfortunately lost their flavour. 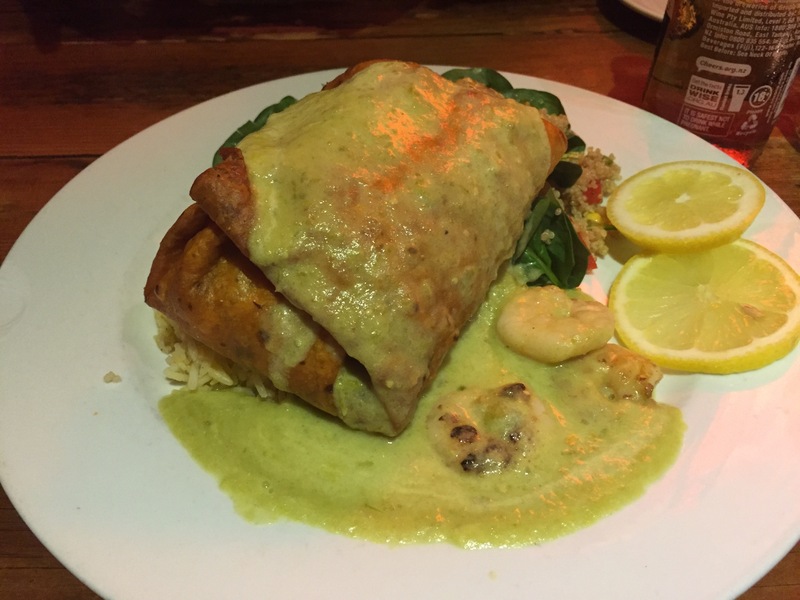 We also tried the chimichanga, we’ve always had a fascination with the word, ‘chimichanga’ is such fun to say. It seemed fitting that we gave this a try at some point. 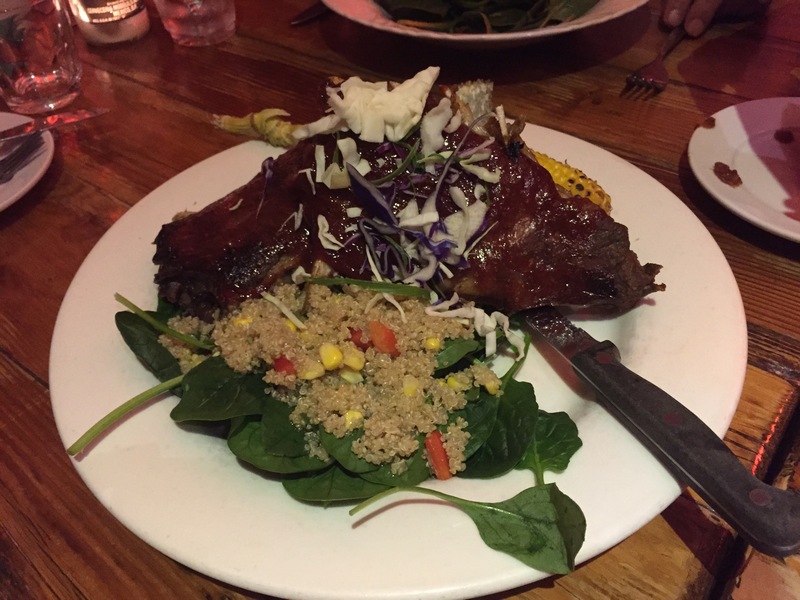 It turned out to be delicious, a deep fried wrap, meaty filling and served with prawns in garlic sauce as well as an unusual salad with quinoa and spinach. The serving was once again massive and all sharing we still struggled to finish. Sante Fe make decent Mexican food in big servings. 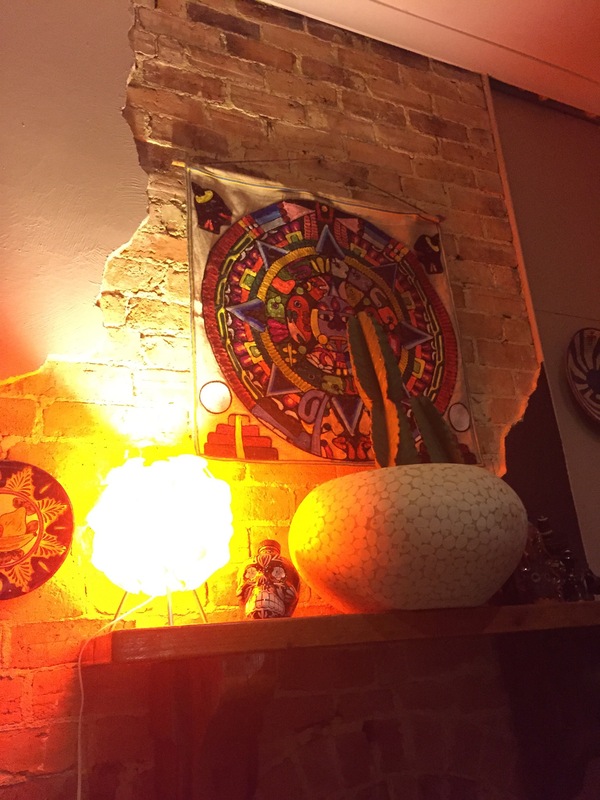 You will decently get your money’s worth, though it may not be the most refined food around it’s a good Mexican feed.